MyAlaskaTix | Sleeping Lady and Pizza! 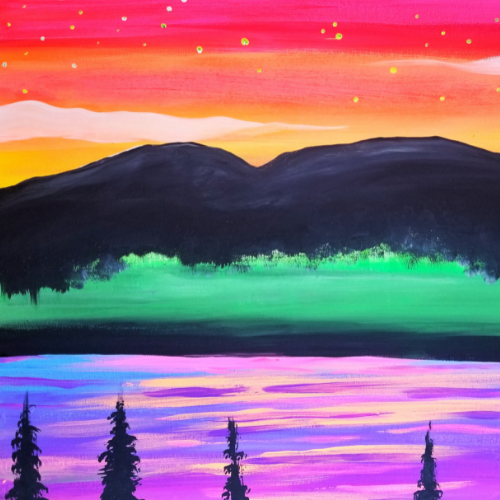 Join me, local artist Jamie Janko in painting this beautiful Mt. Susitna Landscape in the sunset. Everything you need to create your own masterpiece will be provided, including friendly instruction and included is a personal pizza you get to build yourself. Kids are most welcome to join us for this fun-oriented class. Pizza and Painting. Yum! Please arrive between 6 PM-6:30 PM to pick seats and to check-in. Continue to place your pizza order with the awesome Studio Staff behind the counter. Aprons will be provided, but wearing "paint clothes" is recommended. Artistic Freedom is encouraged! Make it individual and unique or simply create something entirely different. I will help with questions and tips, even if you are doing your own thing! We will start painting at 7 pm, and the painting is ideally about 2 hours long, however everyone is different. If this time frame isn't long enough for some (which I can relate! ), I will be happy to supply a fresh paint palette covered for you to take home. (Rarely needed.) At the end of the event and during the event we will take group photos. 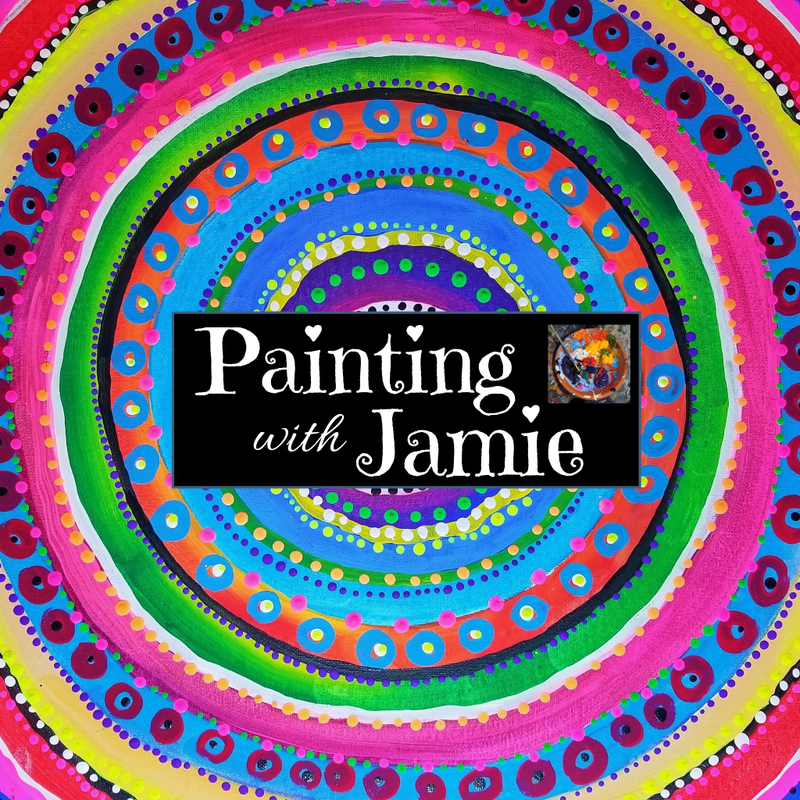 I will post these images to my FB page, Painting With Jamie for you to easily find them afterwards. Please notify me if you wish to be excluded from photos. Kids under a certain age (around age 6) are asked to be chaperoned if a parent or guardian is not painting with us. Thank you for your understanding. We use fast-drying, easy to use acrylic paint on 16"x 20" canvas. For any questions, concerns or to schedule your own painting event, public or private, please email me at [email protected] Thank you for supporting this local artist!